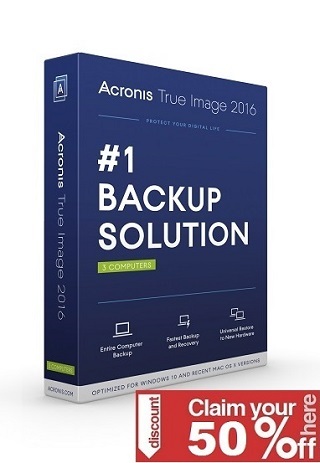 Remotely connect to virtual machines running on VMware vSphere, ESXi or another copy of VMware Workstation. 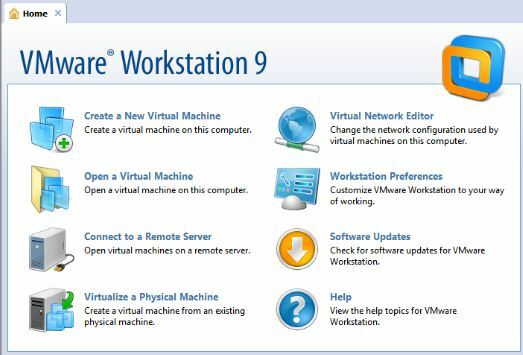 Workstation’s web interface lets you access local and server hosted virtual machines from your PC, smart phone, tablet or any device with a modern browser…..
VMware Workstation 9, available now, also includes the ability for users to access their desktops, by phones or tablets, through a browser. The software has also been tailored to work with computers running Intel’s new Ivy Bridge processors. The new version, the first major upgrade since last September, can support Windows 8 in a number of ways. The software can recognize multitouch screen gestures, which Windows 8 was built to accommodate. Workstation’s Unity, which allows users to run applications in a virtual machine without actually running the virtual machine itself, can handle Windows 8 applications. The software recognizes the USB 3.0 standard, also supported in Windows 8. On the Linux side, this version will be the first to run Linux’s OpenGL 2.1 graphics library. To help you and your organization evaluate Windows 8, master the Metro UI and test your applications, VMware Workstation 9 is optimized for running Windows 8 virtual machines and running on Windows 8 PCs. Workstation’s new web interface allows you to access your virtual machines running in Workstation or vSphere on a tablet, smart phone, PC or any device with a modern browser. Create virtual machines that are encrypted, block USB devices, require a runtime password, and another password to change virtual machine settings. With faster 3D graphics and support for DirectX 9.0c Shader Model 3 and OpenGL 2.1 3D graphics in a Windows and now Linux virtual machine, VMware Workstation easily handles demanding 3D applications like AutoCAD, Solidworks, and many current games. Windows 8 Support– Easy install simplifies the task of creating virtual machines for Windows 8 that can run simultaneously with a variety of legacy operating systems. Unity mode intelligently works with Windows 8 applications, and multi-touch support ensures a true Windows 8 experience. More Powerful Virtual Machines – Faster startup performance, USB 3.0 support for Windows 8 virtual machines, Intel™ Ivy Bridge compatibility, more powerful virtualization extensions, virtual performance counters, support for OpenGL 2.1 on Linux and improved 3D graphics performance make running highly demanding applications simple and efficient. Increased Mobility – A new Web interface allows access to virtual machines running in Workstation or on VMware vSphere® from tablets, smart phones, laptops or desktop PCs. This high performance, Web-based interface delivers a native desktop experience and does not require flash or browser-based plug-ins. Restricted Virtual Machines – IT administrators and instructors can create virtual machines and configure them to prevent employees or students from dragging and dropping files between virtual and physical desktops, attaching devices, or tampering with the virtual machine settings. Once restrictions are configured, the virtual machines can be encrypted and distributed to run on Mac, Windows, or Linux PCs with VMware Fusion® 5 Professional, Workstation 9, or VMware Player™ 5. This, indeed, is a nice giveaway. Good luck to me and to the rest! Very useful program. Thanks Appfound! I need this “little” piece of Software. VMware WorkStation is the best virtualization software. Count me in! Thank you for this offer! Good suggestion. Count me in. Thanks for this great GA. Please count me in! I’d like to enter this giveaway, please. Thank you. excellent software, please count me in, thanks! Nice ! Please count me in the drawing. thanks. Please count me in this contest. Yeay! Great giveaway:) I need this and would like to win it! Thanks for contest! Very necessary program. Great tool for anyone who spends time experimenting and learning with computers. Count me in. Thank you. Thank-you, please include my entry. Must have product. Please enter me. this is a very nice software. Nice giveaway thank you very much. count me in please! Essential software in todays world. Great giveaway. Nice Giveaway, very wellcome, thanks !!! Great giveaway. Would love to own one. I want! This is awesome. Full version of Workstation. Awesome. I wish to enter. pls count me in. thx. i’m so happy to win this one.thanks for the giveaway.p/s count me in. Wow. Thanks for the giveaway and count me in please. A very worth giveaway to join. Please count me in. Oh, thanks for share this giveaway. Cheers! This is great for someone like me who is trying to tec\ach some young South Sudanese in the field of IT. I wish to win a license this time. Thank in advance for a great giveaway. Great Giveaway! Thanks to this software I’ll be able to install OSes virtually and sometimes to see what they can give before installing them like the host OS. Great program, I’m in for this one. Sure, count me in. Thanks. You are the number one, great giveaway, please count me in. Great offer. Count me in. Wow! Thx for the giveaway! Please count me in! Thanks for the giveaway & please count me in! Very good program. Count me in please. All products of the VMware is perfect. They very useful. Thank you ! Count me in , please ! thanks, it’s a real bait, count me too. wow! vmware it’s best virtual machine in world. Great company. Powerful her products. Great giveaway! Vmware is much better than free VirtualBox. Please count me in! it´s time to learn and work with virtual machines. so I would like to win. please count me in. Wow! What a giveaway. Thanks for the opp! Great software.count me in ! Thanks ! Very useful and a must have tool for trying new software! Great offer! count me in! Thanks! Hi! !I subcribed to your newsletter.I am a student and I want VMWARE to virtually run Mac on my pc .So,pls count me in. I like this soft very much. Great giveaway. As an IT pro I’ve been using Virtualbox for my virtualization needs. Here’s hoping for an upgrade! Thanks a lot! count me in! Thank you and count me in. Great giveaway!. Please count me in. Great offer! Count me in. Great, VMware Workstation 9 supports Windows 8 and we can access the desktop, by phone or tablet. count me in! thanks! Fantastic! great! count me in!! Thanks! count me in! Thanks! great offer! would be nice to win. please count me in. thank for the awesome giveaway. Thanks for the giveaway. I’d really like to try Windows 8 in a VM. I bought an original of 8, but haven’t had the fortitude to install it on my Windows 7 system, with Ubuntu in dual-boot. Winning a license should give me the courage to try it out. Nice one, thanks. Greate program. 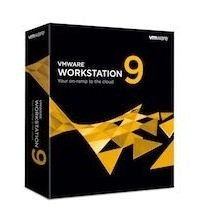 VMware Workstation 9 for Windows. such a great piece of software! count me in! great program! Great virtual software.Count me in please. Thanks, count me in too, please. Thanks Appfound. 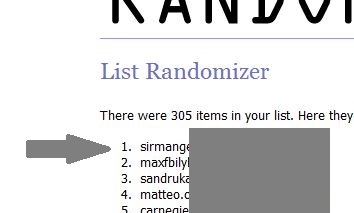 Really nice giveaway not found anywhere else! Count me in , please ! Count me in this drawing. VMware WorkStation is the best virtualization software! VMware WorkStation is by far my favourite Virtulization program on multiple platforms!